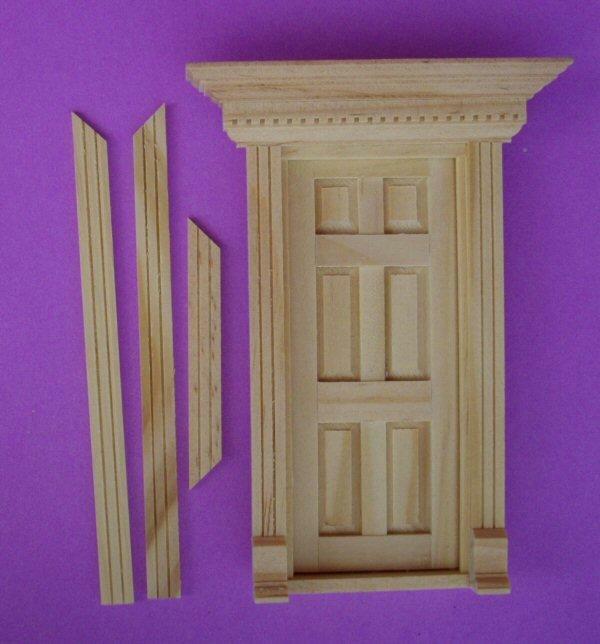 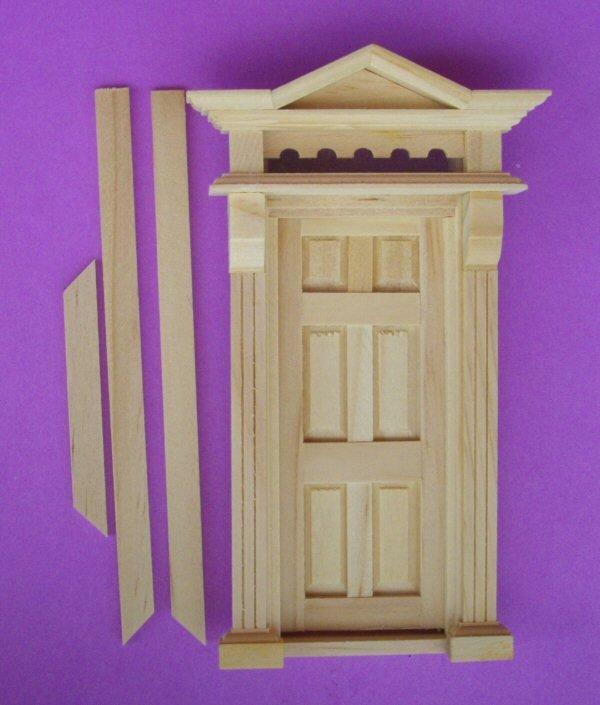 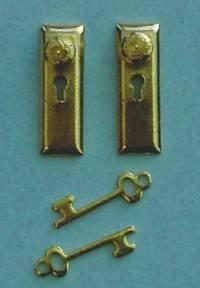 1/24th scale dolls house minature exterior wood front door with Dentil Mouldings, from Houseworks. 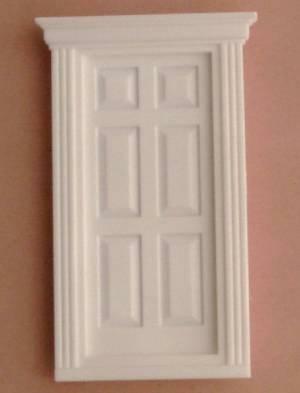 Includes interior trim. 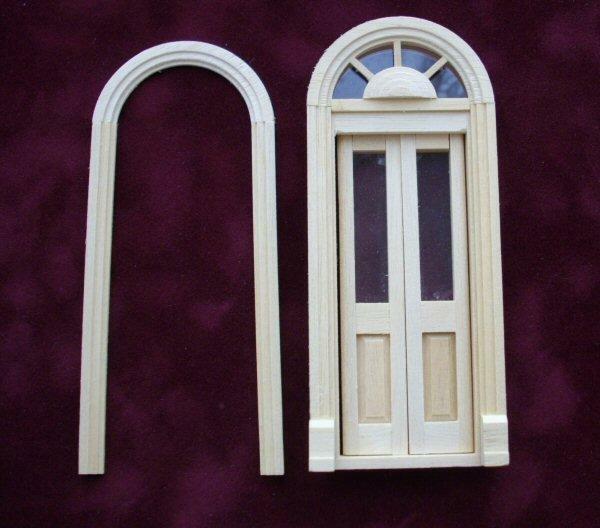 Measures 72mm wide across top of moulding x 102mm tall. 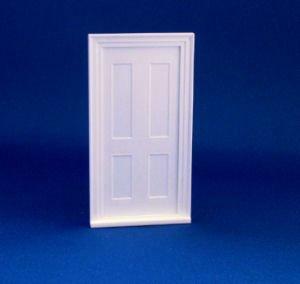 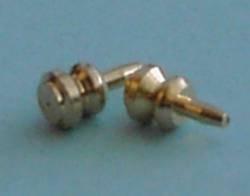 Fits opening 43mm wide x 94mm tall.